Bruno Hedman graduated from Trinity College (8T3) at U of T with a B. Sc. major in Astronomy. 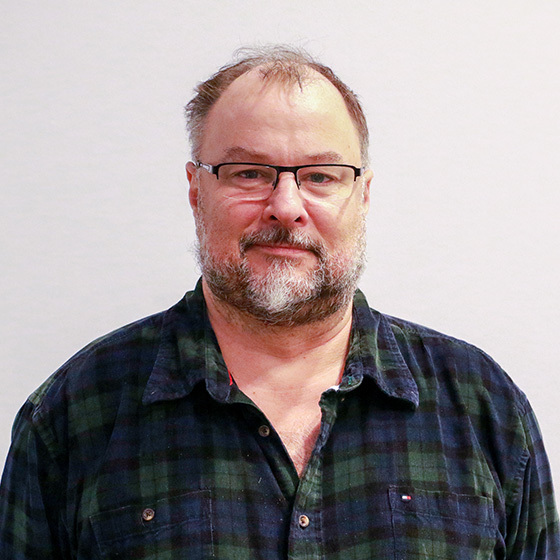 He has spent many years developing software, primarily as a consultant for FIs such as RBC and Symcor, on a variety of platforms from mainframes to mid-range, and in locales such as Toronto and the Caribbean market. He has focused over the last 10+ years on client/server Enterprise Java development, both in startups and at major FIs. Bruno was a key designer/developer on the small team that created the API that allows for the searching and retrieval of cheque images, now used by most major Canadian retail banking web sites and banking apps. Bruno is also professional sax player, who has toured, gigged and recorded with many jazz, reggae, ska and African music artists over the years, in Canada, USA and Europe.